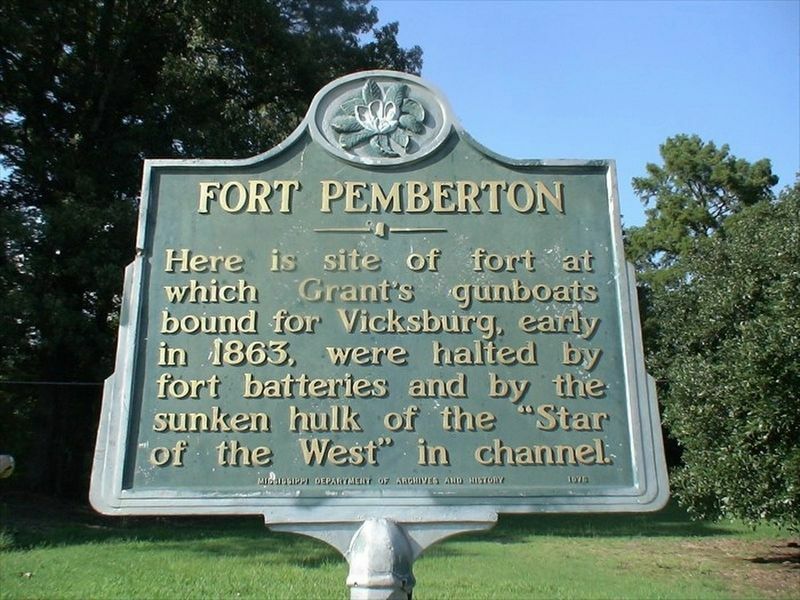 Here is site of fort at which Grant's gunboats bound for Vicksburg, early in 1863, were halted by fort batteries and by the sunken hulk of the "Star of the West" in channel. Erected 1976 by Mississippi Department of Archives and History. Location. Marker is missing. It was located near 33° 31.84′ N, 90° 14.049′ W. Marker was in Greenwood, Mississippi, in Leflore County. 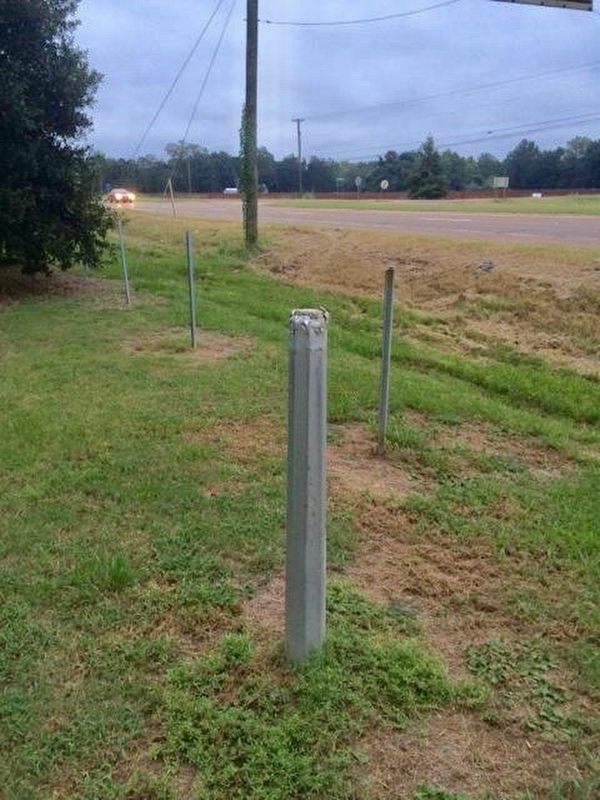 Marker could be reached from the intersection of U.S. 49E and Levee Road, on the right when traveling west. Touch for map. Was located at Fort Pemberton Memorial Park. Marker was in this post office area: Greenwood MS 38930, United States of America. Touch for directions. 2. Only marker pole is still left after many years. crow flies. Fort Pemberton Park (within shouting distance of this marker); Hubert Sumlin (approx. 1.9 miles away); Guitar Slim (approx. 2 miles away); Bobbie Gentry (approx. 2.4 miles away); Robert Johnson (approx. 2½ miles away); Confederate Memorial Plot (approx. 2.6 miles away); Old Greenwood Cemetery (approx. 2.7 miles away); Charles Edward Wright (approx. 2.9 miles away). Touch for a list and map of all markers in Greenwood. More about this marker. Two varied stories say that it was stolen and another story is that is was removed during nearby road construction. More. Search the internet for Fort Pemberton. Credits. This page was last revised on April 17, 2019. This page originally submitted on April 17, 2019, by Mark Hilton of Montgomery, Alabama. This page has been viewed 35 times since then. Photos: 1, 2. submitted on April 17, 2019, by Mark Hilton of Montgomery, Alabama.